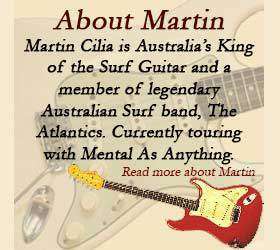 Martin Cilia is guitarist with the legendary Australian surf band “The Atlantics”. He is also regarded as one of Australia’s finest. “The Odd One Out” is his second release on the Bombora label. His previous title was “Revenge Of The Surf Guitar” and was exactly that. On this album, Martin moves from the beach to the city streets and beyond. 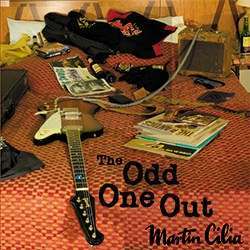 Distinctly Martin and his vintage guitars, yet the influence of Hank Marvin and others is clearly present.